LOS ANGELES – Yasiel Puig arrived at Dodger Stadium for the first time since returning to Los Angeles on Monday after being traded to the Cincinnati Reds. The Cuban star missed the personal ring of his National League Championship Series by Dodgers owner Mark Walter and other front office staff. They presented the jewelry to former Dodgers Matt Kemp, Alex Wood, and Kyle Farmer during an informal gathering outside the Reds Clubhouse. "Only the six of us share stories that say hello and more, we thank them for what they have achieved over the past year and wish them well," said Dodgers Manager Dave Roberts. Asked to miss the meeting, Puig said, "He can send the ring to my locker or give it to me while beating it, he can give it to me personally, I do not care." Roberts chuckled as he did asked if he was happy to be in the other team now Puig's name comes up. "Yes, I'm happy," he said, smiling. Roberts said he and Puig are "good," and they texted and called during the spring training session. "This guy did There are many things in the community that have helped the Dodgers do a lot of good things, "the manager said. Puig also appeared 70 minutes late at a scheduled press conference with local media. He asked questions in English and Spanish for a few minutes as Dodgers approached, Kenley Jansen suddenly appeared behind a wall of television cameras to greet Puig with a hug. "Dad," Puig said as the former teammates hugged. 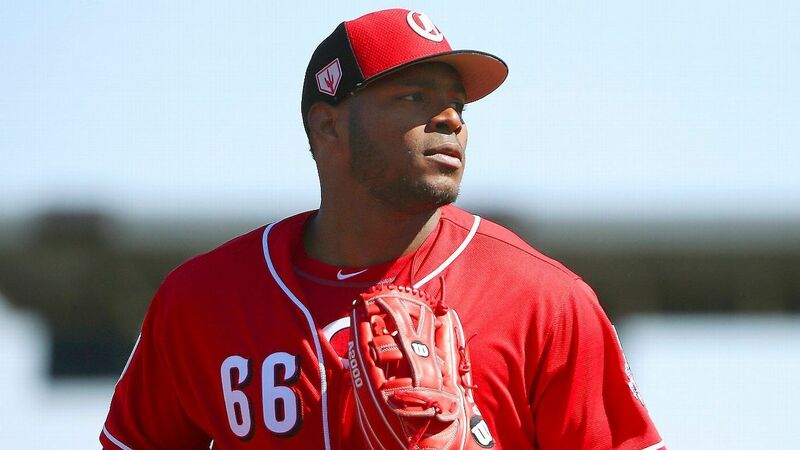 Reds Manager David Bell said Puig was "absolutely" on time with his new team. "But that would not be the first thing I would talk about," he said. "It would be more about the way he played the game played, and the teammates he has been. He was excellent. We love having him here. " Puig was involved in a seven-player deal with Cincinnati in December Kemp, Wood and Farmer. Turner Ward, the former Dodgers coach employed by the same team role for the Reds, worked in the shock cage when Walter, president of baseball operations Andrew Friedman, team president Stan Kasten and Roberts went to the clubhouse of visitors, to showcase the rings.